Tomato, Tomatto, if it’s fried, I’ll eat it. Maybe you have done neither, or both! Either way, my bet is that you have at least heard of fried green tomatoes, even if you have not tried them. 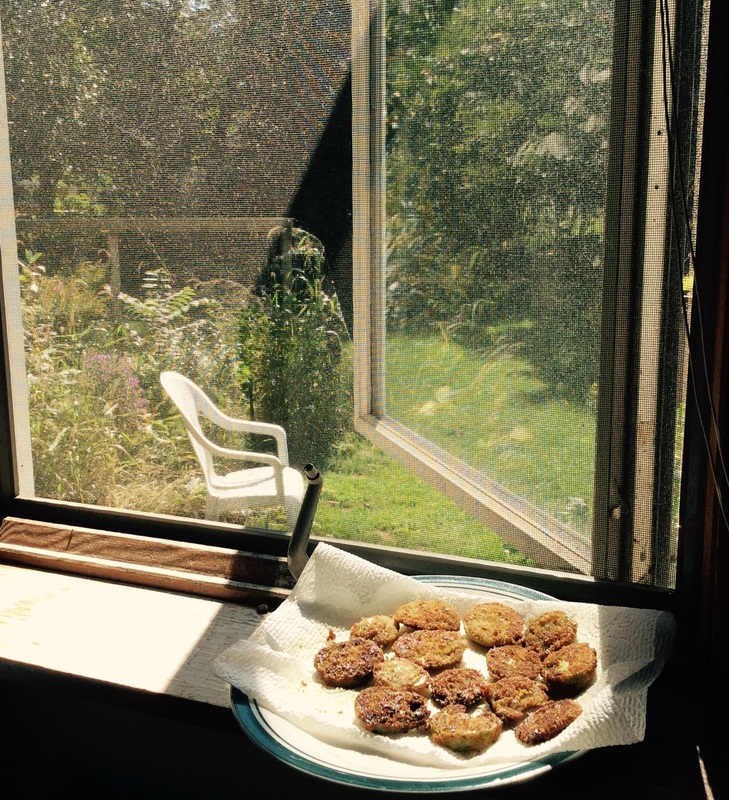 Not a very popular dish in New York, fried green tomatoes have become one of my favorite summer eats. Whether they are an appetizer to your meal or a hearty snack, there is something quite fulfilling about this battered vegetable (technically fruit). If you are like me, and currently have tomato plants growing in your back yard, pick a couple of large green ones off of your plants. You want them to be decent sized but picked before they start to turn red and go soft. Sometimes this can be a bit of a guessing game, so if you see one that’s about to turn, pluck it fast before it goes red. Cooking for two people, I usually pick two or three. I then get out two small dishes and start warming a pan on medium heat. I use vegetable oil to fry my tomatoes but olive oil can be used as well. As the pan begins warming I pour enough oil in to coat the bottom of the pan. Once your tomato slices are coated in both egg and breadcrumb, lay them flat in the pan of hot oil. Give them a couple of minutes before flipping them. 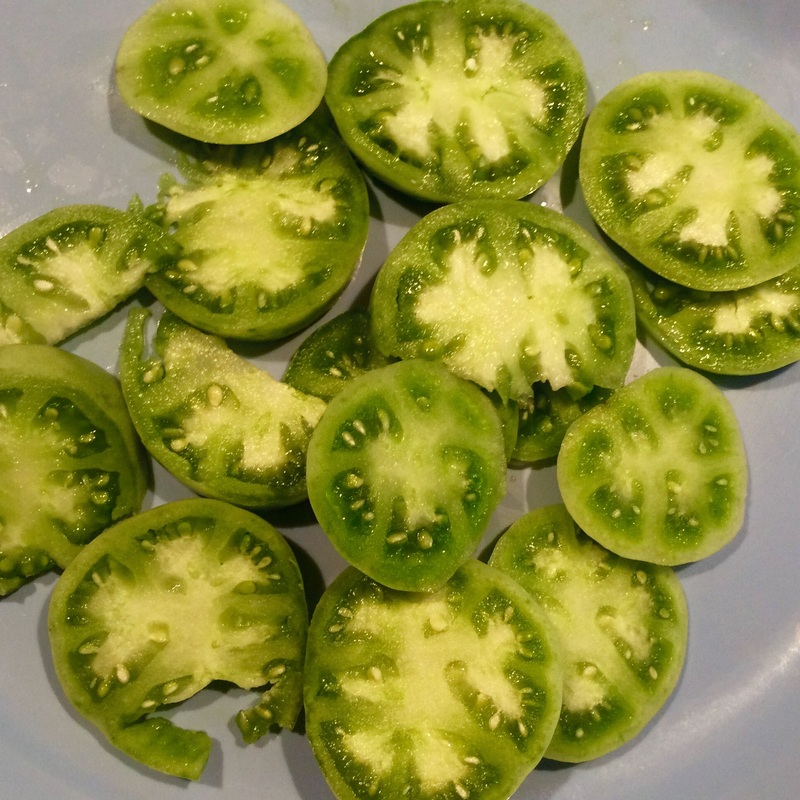 You want the slices to be thoroughly fried, softening the hard texture of the green tomato. The breadcrumbs should be dark brown in color. Once both sides are cooked, lay the slices on a plate with paper towels. The paper towels soak up the extra oil and give your tomatoes a satisfying crunch! While hot, sprinkle with salt and enjoy! Again, not an overly complicated recipe, but certainly delicious! If you’ve never had a fried green tomato before, I definitely recommend that you give it a go!